It should be available in all regions later today. A new pack of cosmetic items is ready for release in Fortnite: Battle Royale. The Cobalt Pack has been spotted on sale in several PlayStation Stores around the world, including New Zealand, Australia, and the U.K. Developer Epic Games says it should be available in all regions by the end of the day. The company first announced the Cobalt Pack was available in the Store late last night, but then said it would roll out for all platforms in the next 24 hours. 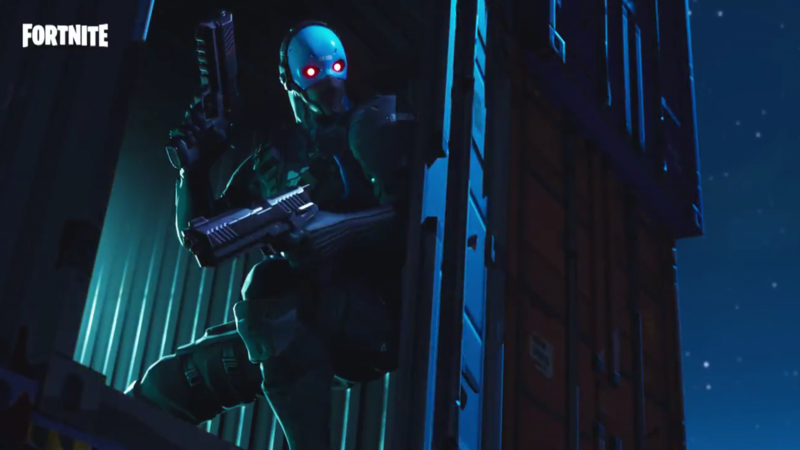 Leakers found the Cobalt set last week hidden in the Fortnite game files after the v7.20 Content Update. They also found it was very likely a Starter Pack was coming soon to the game, and now their findings were proven correct. All these PlayStation Store pages show that the Cobalt set comes with 600 V-Bucks, the Cobalt outfit, and a Reinforced Back Plate Back Bling. The price point of the set varies from country to country, but based on the £3.99 price in the U.K. and $7.55 in Australia, we can guess the Cobalt Pack will be sold for $4.99 in the U.S, just like previous Starter Packs. The Cobalt Pack drops the “Starter” from its name, unlike previous Fortnite cosmetics packs used to have. Summit Striker, Rogue Agent, and Wingman packs were all called Starter Packs and followed the same formula the Cobalt Pack does: 600 V-Bucks, an outfit, and a Back Bling for $4.99. Taking timezones into account, Fortnite players in the U.S. and other western countries should see the Cobalt Pack available in the in-game Store in a few hours.